Harley-Davidson’s VRSC range is being upgraded for 2008 – gaining a capacity boost previously used only on Screamin’ Eagle versions. All V-Rods and Night Rod Specials get the Screamin’ Eagle 1250cc version of the Revolution engine next year, replacing the old 1130cc motor and boosting power from 110bhp to 123bhp. Torque goes up to an impressive 85lbft. Taking a leaf from sportsbike design, the VRSC machines also gain a slipper clutch next year. 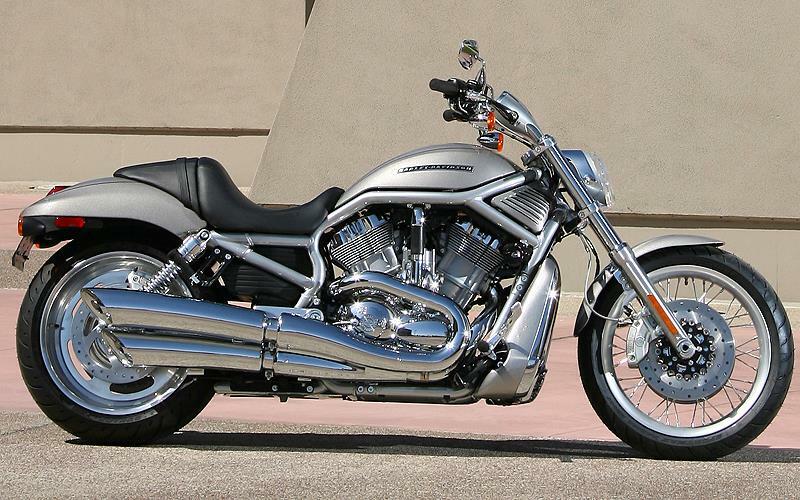 See the new Harley Davidson Rocker and Harley-Davidson Rocker C, here. 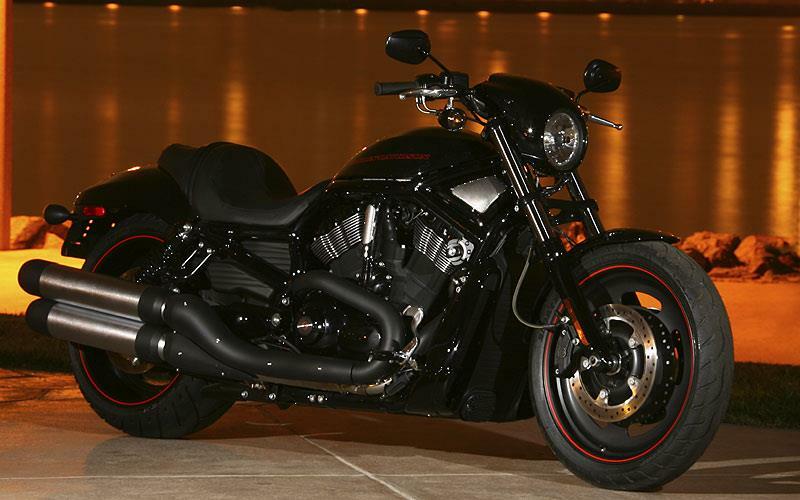 The Harley-Davidson Nightster is coming to the UK. Click here. In a major move for Harley, ABS brake are also set to become an option on VRSC machines in 2008, using a system developed specially for the bike’s Brembo brakes. The basic VRSCAW V-Rod is visually virtually unchanged, with just a new wire spoked front wheel rather than an alloy to mark out the more powerful 2008 version. It’s set to cost £12,075, or £12,725 with ABS. Two-tone paint adds £400 to the price. The VRSCDX Night Rod Special has no visible modifications, but gains all the same improvements under the skin, and will cost £12,325 without ABS, or £12975 with anti-lock.